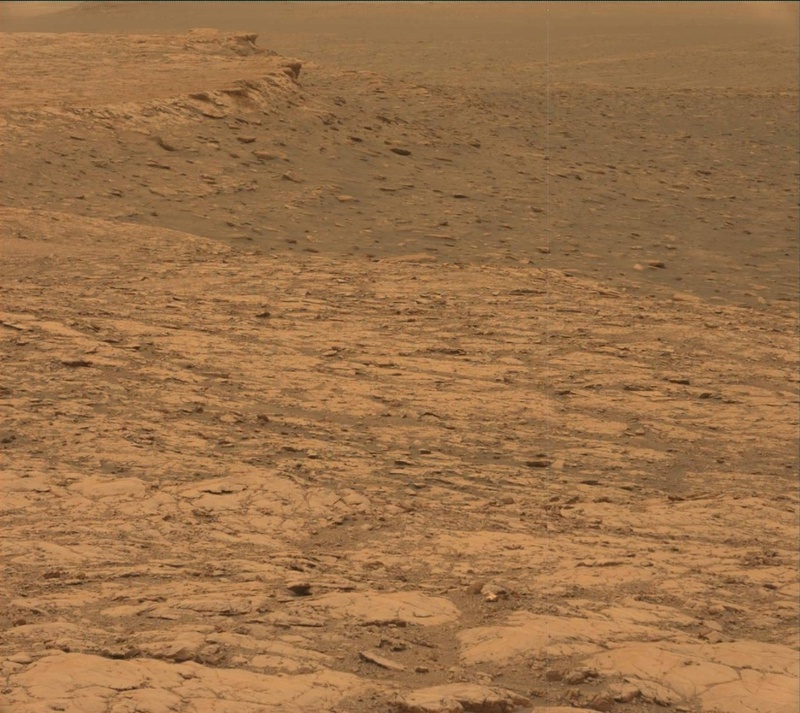 Curiosity is currently on her way to a potentially softer rock target to drill in the Pettegrove Point member of Vera Rubin Ridge. Today was a late slide sol, which means we had to wait until 11am PDT for the downlink to arrive. Unfortunately, we didn't get our downlink today from MRO. I was the SOWG Chair today, and it was an interesting morning as we had to quickly adjust the plan without knowing the current state of the rover. However, the team turned it around and made the most of the untargeted remote sensing sol. The geology theme group planned several autonomously targeted AEGIS observations of bedrock in the workspace, along with a Mastcam mosaic of the workspace and a Navcam mosaic of the ChemCam targetable region to prepare for targeting in the weekend plan. The environmental theme group took advantage of the day with two Mastcam tau and crater rim extinction observations, a Navcam line of sight and dust devil movie, and Navcam suprahorizon and zenith movies. All of this great environmental monitoring data will help as we continue to assess the ongoing dust storm. Looking ahead, we hope to proceed with science activities and driving in the weekend plan with the help of the Mars Odyssey spacecraft to relay data. Just another day and another challenge working on Mars!